If you’re shopping for a new luxury car and want to spend your money wisely, it’s time for you to explore the perks of INFINITI ownership. After all, INFINITI offers more value for your dollar than other vehicles in the segment, meaning that you spend less to receive more of a premium luxury experience. From innovative technology to remarkable customer support to extensive vehicle coverage, it’s clear that owning an INFINITI encompasses much more than turning the key and enjoying the ride. Learn all about the programs, technologies and the INFINITI Total Ownership Experience® to see why buying an INFINITI at our INFINITI dealership near Springfield, MA, provides you an excellent value. The all-new INFINITI Exclusiviti program opens up a world of possibilities to drivers seeking the ultimate automotive lifestyle. 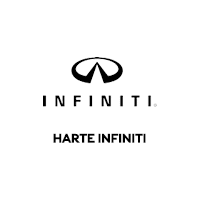 If you want access to exclusive offers and opportunities from a collection of elite INFINITI partners, all you have to do is buy or lease a new INFINITI to reap the rewards. You can view current Exclusiviti partners here to see the various excursions, cuisine and swag available to you. A number of available INFINITI InTouch™ packages are at your disposal depending on the exact model you buy. No matter which you choose, the benefits are abundant, and you’ll never feel the need to pick up your phone behind the wheel again. Not only do you get perks like integrated navigation, SiriusXM® Satellite Radio and Bluetooth®, but you can control it all with your voice or through an easy-to-use touchscreen. That means you can verbally input directions to find your favorite eatery in Hartford and keep your eyes on the road while messaging friends through the Facebook App. You can also navigate through your audio library with simple gestures on the touchscreen like swiping, tapping and pinching. If you want total relaxation when driving your luxury car, allow the available INFINITI Personal Assistant to step in and help. True luxury means having a professional team on your side to plan, schedule and remind you of everything and anything you need day-in and day-out, and INFINITI offers just that. Whether you want to make a reservation at a restaurant in Springfield, need a reminder for a business meeting in West Hartford or simply need the answer to a question you have, there’s someone standing by at INFINITI to assist you. From prepaid maintenance to theft coverage to tire and wheel protection, INFINITI offers something to provide peace of mind to every driver. You should never have to stress while driving your car or when trouble strikes and INFINITI has a solution for every situation. Make sure to inquire about all the various INFINITI protection plans or explore for yourself to see what’s available when buying a new INFINITI. Need to get a quick fix for your INFINITI? Not only can you get back on the road in no time by getting express service at Harte INFINITI, but there’s no appointment necessary. This allows you to get simple procedures like an oil and filter change, wiper blade replacement and more done fast by a professional technician. We’ll even perform a complimentary multi-point inspection with your express service! Trip Interruption Service: INFINITI never wants to leave you stranded, no matter where in the country you’re located. That’s why if you break down more than 100 miles away from home, INFINITI will foot the bill for your lodging and meals for you and your passengers. Service Loaner Car: You’re entitled to a complimentary loaner vehicle whenever you bring in your INFINITI for warranty-backed maintenance. Roadside Assistance: If you’ve run out of gas somewhere in rural New England or you end up with a flat tire in the middle of the night, there’s no need to fear thanks to the 24-hour roadside assistance available through INFINITI. Just call 1.800.662.6200 (Option #1) from anywhere in the continental U.S. and you’ll get immediate help. Financial Services: Flexible financing is a big draw for customers who are shopping for luxury, and INFINITI is among the best around. With creative purchase and lease options, you’re able to own the dream car you never thought was within reach. Repeat Customer: If you’ve already leased an INFINITI model and would like to buy or lease another, we’ll make sure you’re rightfully rewarded. Among other things, INFINITI may even waive up to $500 of excess wear-and-use or excess mileage liability on your existing INFINITI Financial Service (IFS) lease.